Condition: Excellent, but used. Former owner name written in ball point on back cover. 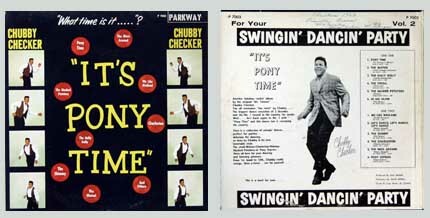 The tracks are Pony Time, Watusi, Hully Gully, Stroll, Mashed Potatoes, Hi Ho Silver, We Like Birdland, Lets Dance Lets Dance Lets Dance, Shimmy, Charleston, Dance The Mess Around.